Universal Studios Orlando: experience all the ‘behind the scene’ action from your favourite movies or enjoy the most thrilling rides in any of the two theme parks. 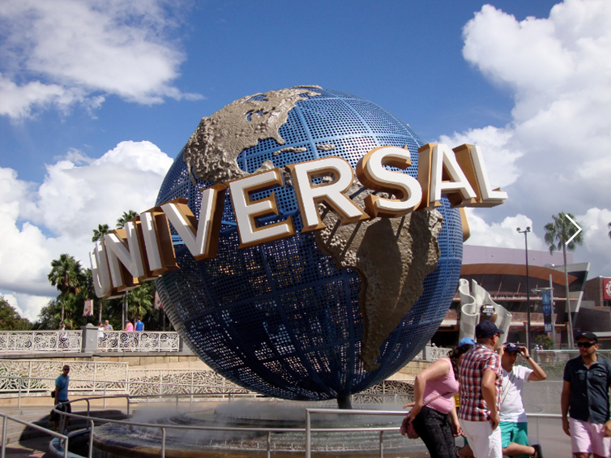 Universal Orlando has more than 50 great restaurants and 60 shopping venues to indulge your senses and is the place you can meet your favourite Marvel comic heroes and ride with the Simpson’s or Spider man. At Universal, you can get a sneak peek at the making of movies, ride roller coasters, check out exhibits devoted to your favourite movie stars and experience shows and parades.